Welcome to the very first edition of this new blog series featuring amazing entrepreneur women and business owners. I have long admired the women who go after their dream and make it happen. I wanted to feature some of those incredible women and share their inspiring stories. Here's to our first #girlboss! Could you describe your product? Inspired by my son, Rian Jonathan, I wanted to and believe that I have succeeded in creating a luxurious and soothing bath product for ladies, babies and men who love to be pampered. I am excited and proud to share our natural, vegan and no-nasties Coconut & Oat Milk Bath. It is made with 100% certified organic and food-grade ingredients. 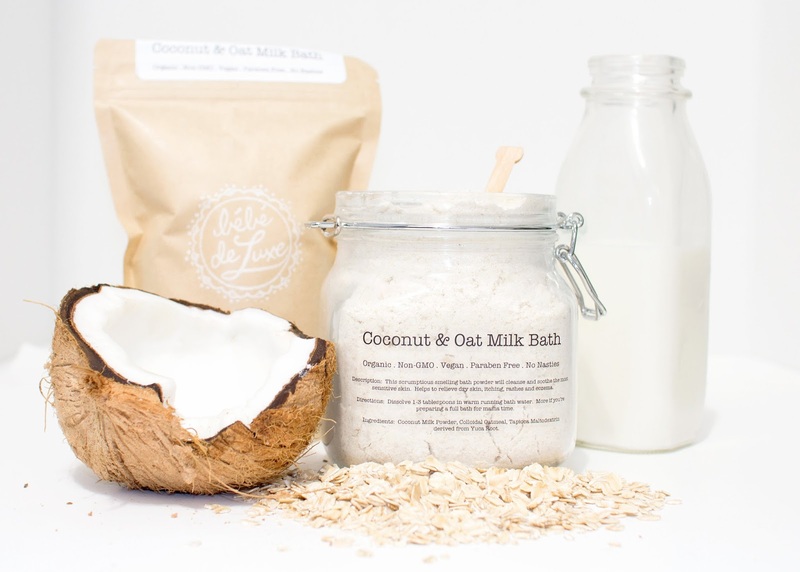 Naturally rich in fatty acids, vitamin E and saponins, our Coconut & Oat Milk Bath will gently clean your baby's (or mum's) sensitive skin without stripping the natural oils. 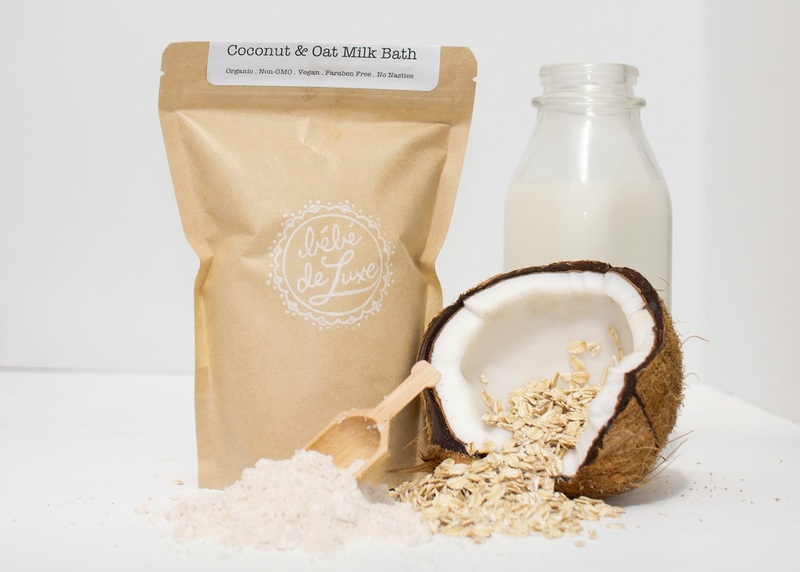 The fatty acids in the coconut milk and the saponins in the oatmeal help to eliminate dirt, impurities, dead skin and other blemish-causing debris while replenishing moisture. Vitamin E is known to deliver healing benefits to dry skin, minor cuts, burns and rashes. Oatmeal has natural anti-itch properties and will further soothe dry, itchy or inflamed skin. In addition to the cleansing and moisturizing properties, coconut milk has natural anti-viral, anti-bacterial, anti-microbial and anti-fungal properties. The idea for BdL came from a DIY Christmas gift for my friends and their babies in 2014. I gifted the first batch in the same style jars we now use for our Luxe option. I was just so thrilled when they all loved the product and some suggested I even start selling it. I played around with the idea and started working on a name, packaging, branding etc... and we launched at the end of March 2015. Could you tell us how you decided to start? Where you inspired by your product and the need for it or did you want to start a business first and thought of the product second? I was definitely inspired by the product and the necessity. Rian and my friend's babies all had very sensitive skin (like most babies!). Once I had made the one batch of our signature Coconut & Oat Milk Bath and saw the results on Rian's dry winter skin, we never looked back or used another conventional baby wash. I am still working at my full-time job as a senior paralegal in Banking and Finance. Being a business owner was never something I thought I wanted and I have worked so hard to get to the position I am in at my day job. BdL was started during my year of maternity leave and I went back to work September 1. I can definitely say that the transition was very rocky. Trying to balance a full-time job (with an hour commute each way), being a mom and wife, friend and daughter as well as an entrepreneur got the best of me a couple of times. I have now brought on an amazing team of women to help me with production and it has made a world of difference. It actually wasn't. Everything just seemed to flow. Ideas, opportunities everything just seemed to fit right from the start. That's how I know BdL is going somewhere, because it is just meant to be! The name was one of the hardest things. I knew I wanted to incorporate Rian into it somehow and since his Daddy's familial background is French-Canadian, it just felt right. All in all, the process was very organic and smooth. I have the most supportive husband and mom in the world. Without them, BdL would not be possible. My Mom is always willing to help with any and every aspect of the business and actually, her feelings get hurt when I won't let her. I do sometimes have to put my foot down though because she also watches Rian for us while we are both working full-time (and he's a rambunctious little guy so I know how exhausting it is to watch him full-time), I have to make her go home and get some rest and she's often nagging at me to do the same! My husband is very encouraging and believes in me and BdL wholeheartedly. He's hoping I'll eventually be his sugar-mama! Social media has been so inspiring to me and has been the most amazing networking opportunity. I have connected with so many wonderful people in the blogging world and the entrepreneur/mamaprener world. In truth, I have never encountered so many women in such a positive way before. We've all had those experiences where it felt like everything was a competition with the woman beside you, I don't feel that at all with the ladies I've connected with. We are all here because we have a passion for our respective business and it shows. When you connect through something so positive, it feeds the positivity. Celebrating growth and even the smallest successes feels so much better when you have so many cheerleaders. It also feels so good when you're able to give back and help the next up-and-comer. 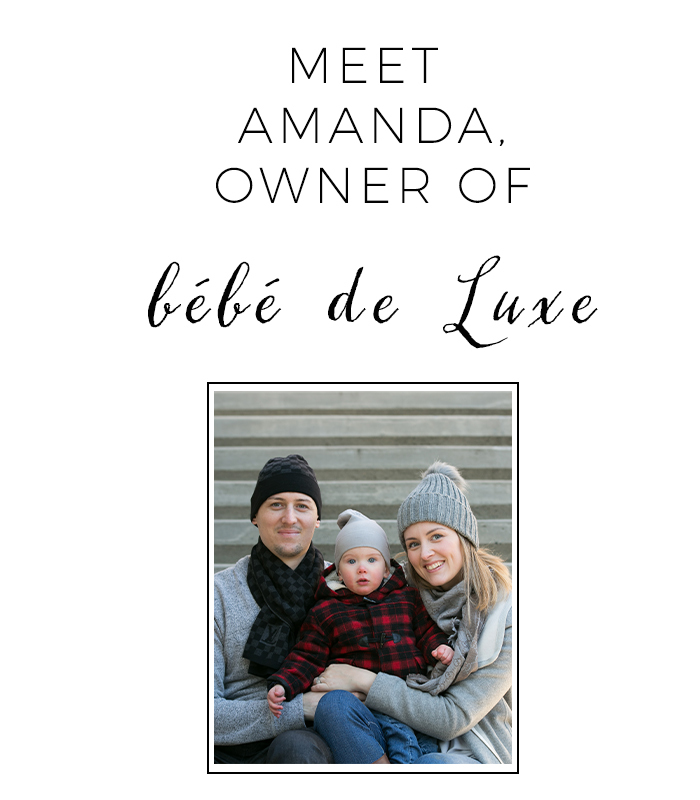 I know how surreal it feels to get a shoutout from one of your business idols and as odd as it feels, there are now people looking up to me and Bébé de Luxe. My goals, hopes and dreams for 2016 are to expand our line. That being said, I don't want to push beyond the realm of my capabilities and capacity. Ask for help. Reach out. I remember when I received my first wholesale inquiry, I said yes before I even knew what I was doing and sent some "Help Me" emails to a couple local entrepreneurs and they both provided me with such great advice. Build your tribe and make true connections with the people you work with. I believe wholeheartedly in the value of a true connection. Above all else, be yourself and be honest. 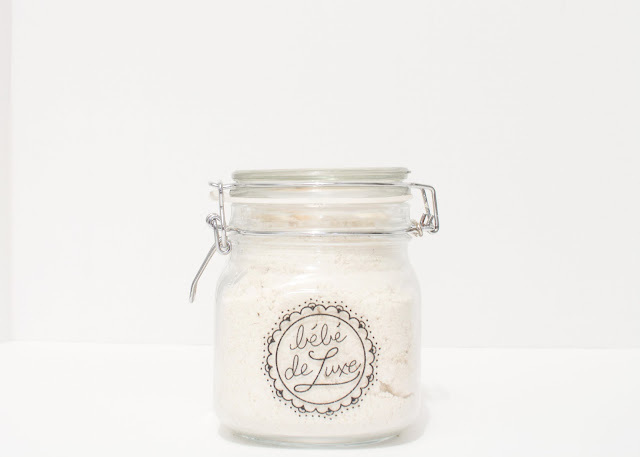 I absolutely love Bébé du Luxe's Coconut & Oat Milk Bath, both for my baby and as a treat for myself. Get 10% off with the code ORANE at Bébé de Luxe. Beautiful product and love how safe they are for children! I'm so excited for my Coconut and Milk Oat Bath to arrive so my little guy and I can try it out! It looks amazing! !